This weekend will be led by Nan Citty. Nan is an LCSW counselor and has worked with children in many different settings. For over 20 years she has offered the Native Nurturing program at the Center For Peace as a way to reach out to children and their parents with these ancient Wisdom Teachings. The Native Nurturing program began as a vision that she had in the Sun Moon Dance. For many years Nan has danced in multiple dances at the Center and other locations as part of her spiritual path. She has danced multiple Sun Moon, Drum and Long Dances. She chiefed the Sun Moon Dance for 8 years with her husband Steve. She has also chiefed the Drum Dance. Nan will be assisted by elders from the Center for Peace who have spent many years learning these ceremonies. We consider children to be our sacred responsibility and honor them. The Native Nurturing Weekends are created to give children and their parents a positive hands-on experience that includes drumming, chanting, storytelling, and lessons on a variety of ceremonies. The workshops help make these teachings of the Old Way a regular part of the lives of our children-and reinforce them as a regular part of our lives. We will sleep in the Peace Sound Chamber where it will be warm and dry. This weekend will be led by Nan Citty. 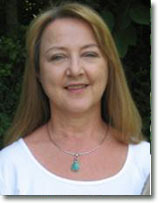 Nan is an LCSW counselor and has worked with children in many different settings. For over 20 years she has offered the Native Nurturing program at the Center For Peace as a way to reach out to children and their parents with these ancient Wisdom Teachings. The Native Nurturing program began as a vision that she had in the Sun Moon Dance. For many years Nan has danced in multiple Sun Moon, Drum and Long Dances at the Center and other locations as part of her spiritual path. 5She chiefed the Sun Moon Dance for 8 years with her husband Steve. She has also chiefed the Drum Dance. Native Nurturing was created for our children in order to teach the old way of ceremony and spiritual life. It is based on the teachings of Native American visionary Joseph Rael, Beautiful Painted Arrow. We conduct a variety of special events scheduled at various times throughout the school year, culminating in August this year with our Young People’s Dance . If you have interest in native-based experiences please consider sharing this with your children, grandchildren, or godchildren. Even if you have no children, please feel free to come and give your support. It will renew your faith that God is watching over us and that our world is in Spirit’s hands. It is a beautiful way of viewing the world. Hope to see you there.